The comes a time in a man’s life when he decides that instead of going out on the town of a Friday night, he will employ himself into the task of writing an article on the subject of plastic boxes full of worms and kitchen waste. For me this day is today. I thought the whole wormery thing was a fad…new fangled, expensive and useless but can’t for the life of me remember how I came to those conclusions…perhaps it was from a man in the pub or a dream…or a baby sealion. Either way I was wrong. I have seen the light and the light came from my mate Guy who has been very smug this summer with the massive success of his wormery set up. There is no doubt that his veg has done incredibly well this year and much better than previous years. He puts it all down to ‘The Black Gold’…. Contrary to popular belief a wormery is not an attic full of whelping spaniels. It is in fact an efficient, eco friendly and speedy way to turn unwanted kitchen waste into solid useable compost and liquid feed through the natural action of badgers…er worms. Over millions of years whilst humans were developing opposable thumbs and neo cortexes, our friends the worms were developing a foolproof method of being able to turn half their body weight per day of largeish pieces of decomposing matter into smallish pieces of decomposing matter. 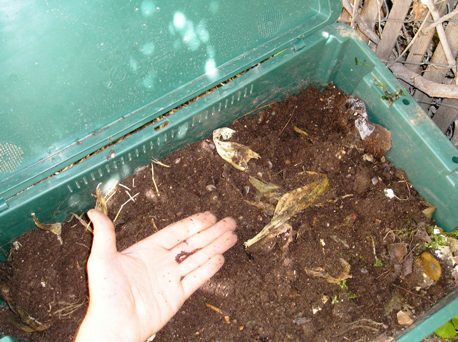 The solid waste known as vermicompost can be spread directly on the garden and the liquid waste needs to be diluted 10:1 before giving to your plants. 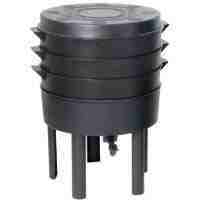 The wormery itself is a plastic bin with a tight-fitting hinged lid containing airholes and an internal perforated platform to separate the liquid waste from the solid. The bin is fitted with a tap at the bottom in order to withdraw the liquid. What worms are used in this wormery thing? Now I’m sure you are thinking you would slip in a dozen Lumbricious terrestris but no, ordinary earth worms just won’t cut the mustard. 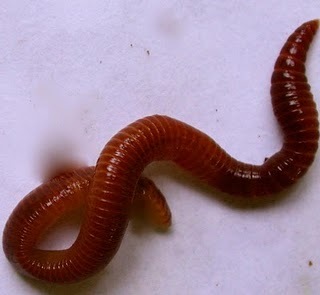 The worms you are after for waste munching are tiger worms and red worms. How do I get started with a wormery? A well managed wormery does not smell. This means it can be placed right outside the kitchen door. Place a single sheet of newspaper onto the separating platform and cover this with torn up or shredded newspaper which has been slightly dampened with water. A small pile of compost is added, which may be dampened sedge peat (moss peat is too acidic) or a peat substitute such as coir, leaf mould or some well-rotted sterile compost. The worms can be placed into the middle of the bedding, together with a thin layer, perhaps a couple of handfuls of kitchen waste. The lid should be left open for twenty minutes or so, so that the light will encourage the worms to dig into the bedding. Further food should not now be added for a week. Let the worms find their feet…er…so to speak. 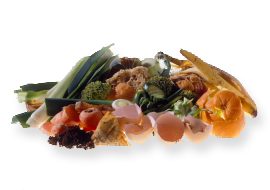 Then only add small amounts of kitchen waste for a couple of weeks…three or four handfuls will be plenty. After this time…if it hasn’t been too cold your wormery should be firing off all it’s wormy cylanders…let’s rock and roll…to infinity and beyond. Does the wormery work in winter? 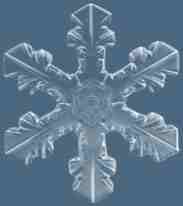 Below 8 degrees the worm chomping action is significantly reduced and below 5 it stops. However…and this is a big HOWEVER…if the wormery is full and firing at the start of winter the temperature of the decomposition heat transfer action thingy (DHTAT) should keep the engine ticking over. Guy thinks he will put his wormery in the outside utility shed next to the washing machine but he also mentioned he hadn’t put that past Mrs Guy yet. I suppose one could insulate it with an old piece of carpet…I suspect Mrs Guy will suggest something like that too…only louder and with more expletives. How do I use the compost from my wormery? When the bin is nearly full and has been properly composted it will have a dark, spongy, soil-like appearance. Remove the worms, which will usually be in a layer just below the surface, and place them temporarily in a worm friendly container. The compost may then be emptied out of the bin at the point of use (ie, as a top dressing or mulch) or saved for use as an ingredient for making up your own potting compost. Then just set up as before. Guy said he harvests every three months or so…but he is somewhat vague even at the best of times. What food can’t I put in my wormery? I am going to give it a go. I have no desire to leave Guy in his cloud of smugness any longer than I have too. The Higgledy Garden will be developing (and blogging about) a small ten by ten allotment very soon and good feed is the way to good veg. Guy got his wormery and worms from ‘Wiggly wigglers’ and all it looks first class. I have used Wigglers for various things before and I love their products and general eco vibe, so it makes sense to go back. I will pop a link in below. Very interesting, never thought a wormery could give me anything better than a compost heap and a pile of leaf mould , combined with my comfrey liquid . But it looks as though they are very efficient systems, I like the idea of putting one outside the kitchen door, so might put one on my Christmas present list. I was concerned the feed might be too rich for flowers and produce too much green growth? …seeminly not. Great post :) We don’t have one. We’ve ummed and ah’d but never actually got one. Of course, we do have Compost Heaps and our own Chicken & Pig Manure. It’ll be interesting to see hwo you get on and maybe we’ll get one… one day.